As popular Japanese game site My Game News Flash notes, staff from Creatures Inc., the studio behind Pokémon games, toys, and cards came under fire for visiting their local shrine, the Yasukuni Shrine. It’s about a ten-minute walk from their office. 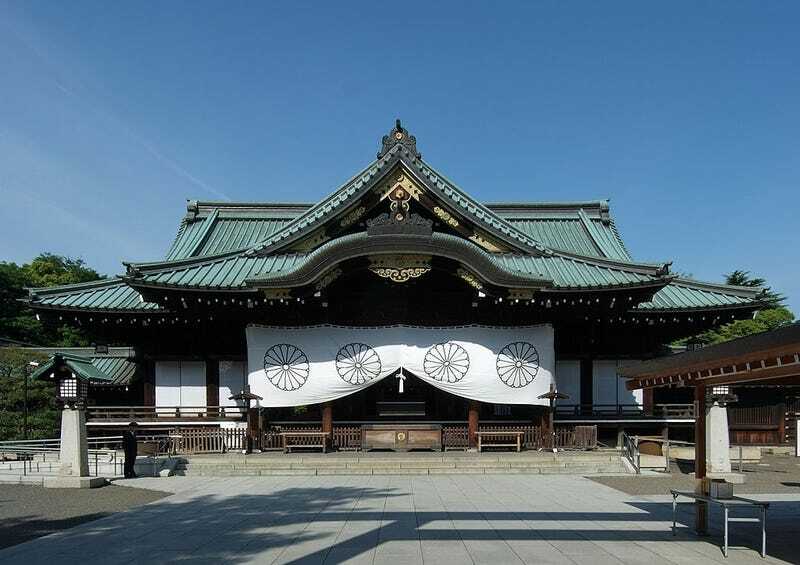 The Yasukuni Shrine dates from 1869. The Meiji Emperor, under whom the country modernized and Westernized, originally established the shrine to honor those who died fighting to return the Emperor to power in what was essentially a Japanese civil war. Among those enshrined are Shoin Yoshida and Ryoma Sakamoto, who not only supported to the restoration of Imperial Power but also pushed for the country to look to Westward. Since then, however, the shrine has enshrined those who fought and died for Imperial forces, whether they be Japanese or those living in the Empire of Japan, including Koreans and later Taiwanese. (This is also controversial with some Korean descendants now demanding that the souls of their ancestors be removed.) In total, over 2.5 million souls are enshrined at Yasukuni. It wasn’t until 1978 that fourteen Class A war criminals were secretly enshrined there. Of course, there are also a large number of Class B and C war criminals also enshrined at Yasukuni, which has since become synonymous with Japanese military aggression. Immediately, Chinese and Korean fans criticized the company, pointing out how controversial the shrine is and how insensitive such a decision. Creatures Inc. deleted the tweet after some Chinese fans called for a boycott. The word “Yasukuni” also began trending on Twitter in South Korea.